Even before a heart attack hits you hard, identifying certain warning signs of a heart attack could help you avert a critical situation. Be wary of them. Heart diseases are the leading cause of death globally with claiming over 17.3 million lives each year. Heart attack remains one of the common manifestations of heart diseases. In fact, it’s often seen that a patient with heart disease first present at the hospital with a heart attack. The development of a heart attack is highly variable. While it can develop over a period of time in some conditions, it is sudden and unanticipated in others. When the attack develops gradually over time if you’re careful enough you can read the warning signs of a heart attack. This allows you to take adequate precautions beforehand and prevent a major catastrophe. 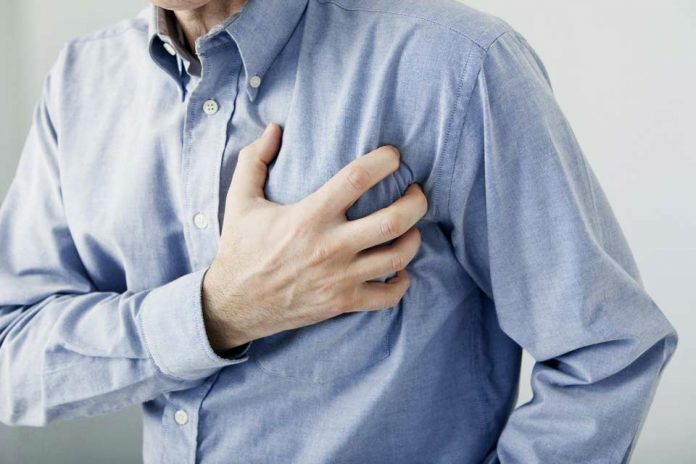 In this article we’re going to discuss some of these signs which allow you to identify a developing heart attack. Heaviness or discomfort in the chest is among the earliest and commonest warning signs of a heart attack. This sign is often confused with the burning sensation in acid reflux. A person may take a developing heart attack for an acid reflux or vice versa. It’s, thus, important to take chest discomfort as a serious sign and rush to the doctor if it troubles more than once or is sustained even after regular antacid remedies. Beware if you experience Shortness of Breath even under routine circumstances which never seemed to create a problem earlier. Shortness of breath in routine activities like a short walk, a little climbing up the stairs, or regular exercises must be taken as a warning sign. Even in absence of chest discomfort, heavy breathing is a sufficient sign to take precautions. Visit your doctor. Sweating is normal is hot and/or humid conditions, however, sweating copiously even in a comfortable condition warrants attention. Whenever you notice sweating when it shouldn’t be, or more than regular sweating in a particular situation see a doctor. An incessant feeling of nausea might be a warning to the commencement of a heart attack. You shouldn’t overlook nausea especially when it has been there for a while without any obvious cause. Unexplained nausea could be a result of an arterial block. Just as with shortness of breath, if you experience unjustified fatigue even after slight activity or workout it can be a warning sign of an impending heart attack. Excessive stress or a feeling of weakness despite adequate food and sleep, and no excessive physical work is enough cause to visit your doctor. Sometimes when a heart attack is developing, one might experience numbness in their arms. They might even appear to be drifting towards one side. This is another sign of an impending heart attack and shouldn’t be overlooked. If one or more parts of the body stop responding, whether to voluntary movements or to sensations, you must not ignore the sign. It’s a clear indication of a serious situation. A heart attack can commonly affects arms, shoulders and back of the neck. Well, if you’re finding it difficult to speak out your words properly, it’s a cause to worry. Difficulty in speaking coherently is another warning sign of a heart attack, a serious one in fact. Check with people around yourself to see if they are able to understand your speech. If they confirm your slurring, it means you need to visit the doctor asap. If you read the warning signs of a heart attack correctly before it’s too late, you can prevent a heart attack, or at least reduce the damage. You must seek medical attention as soon as you’ve identified one or more of the signs mentioned above. Even if it isn’t a heart attack and comes our to be a a minor issue, a visit to the doctor can do you no harm. Always remember prevention is better than cure.